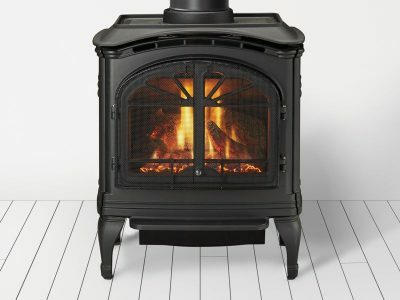 The Heat & Glo Tiara I, gas cast iron stove, is the is the middle sibling of the line-up, and is ideal for heating most spaces. 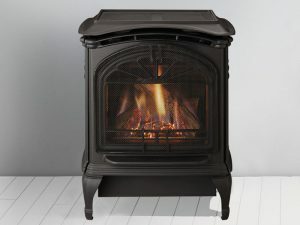 The gas fire in this stove is so realistic, it will have your visiting friends wondering where all the wood mess is. 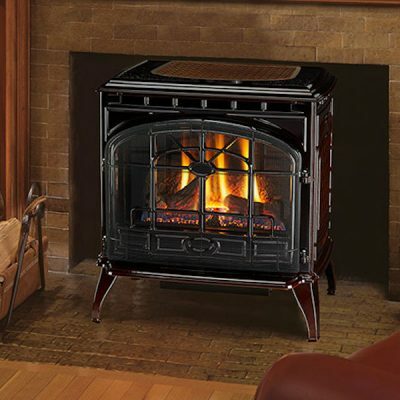 The Tiara is available in three finishes, so you can customize the look to your decor, as well as enjoy the efficient heating and ambiance of classic cast iron. 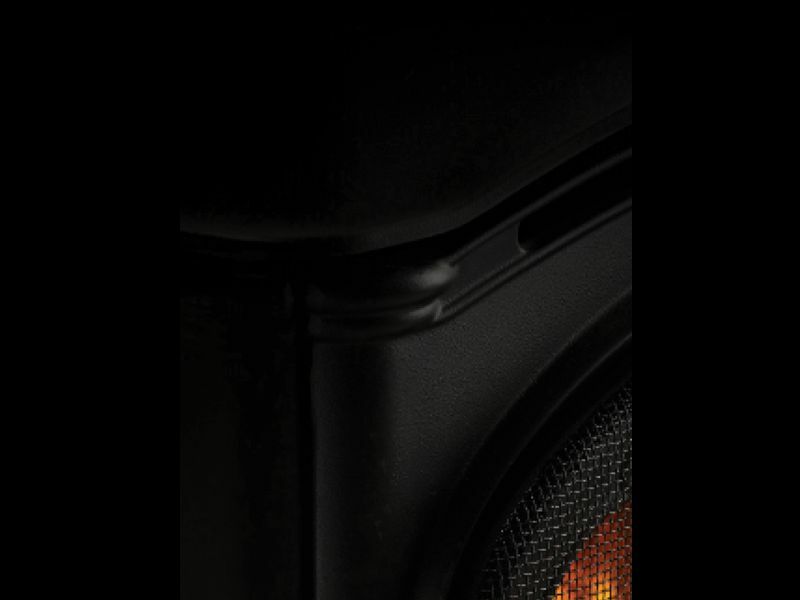 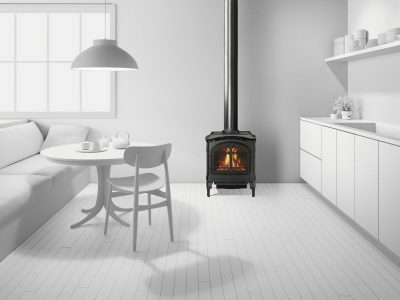 A gas space heater never looked so good! Own with Confidence – The Heat & Glo Limited Lifetime Warranty is the strongest and most comprehensive in the industry. 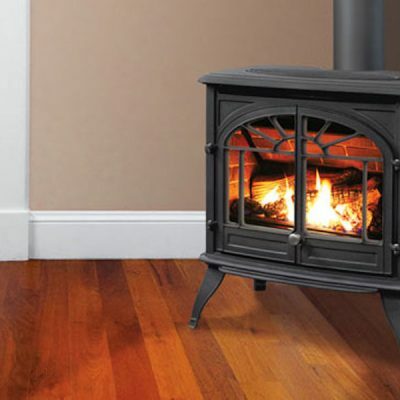 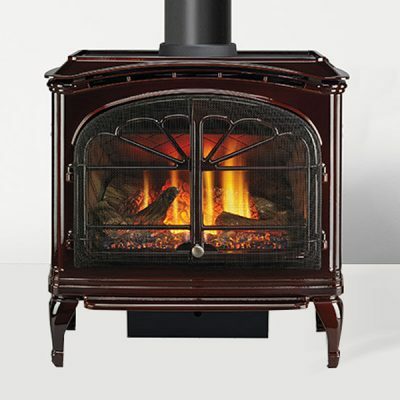 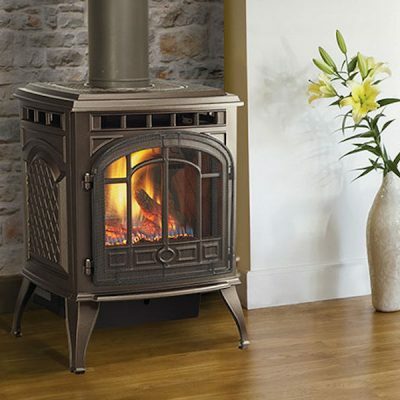 It illustrates our commitment to producing the best and most reliable free standing gas cast iron stove available, so you can just sit back and enjoy your gas stove fireplace, season after season, year after year.